This post is sponsored by iHerb.com, however, the thoughts and opinions expressed in this post are based on my findings alone and are not to be substituted for professional medical advice. If you have serious health problems, please consult a medical provider before taking any vitamin or supplement. This post may also contain affiliate links. The saying is true: you are what you eat. A poor diet coupled with vitamin deficiencies can lead to lackluster skin or even conditions like acne. In fact, internal health is directly connected to skin: your intestines aren’t the only way of getting rid of toxins! The skin not only secretes sweat and sebum but also works to purge out various toxins that lay waste to your internal organs. 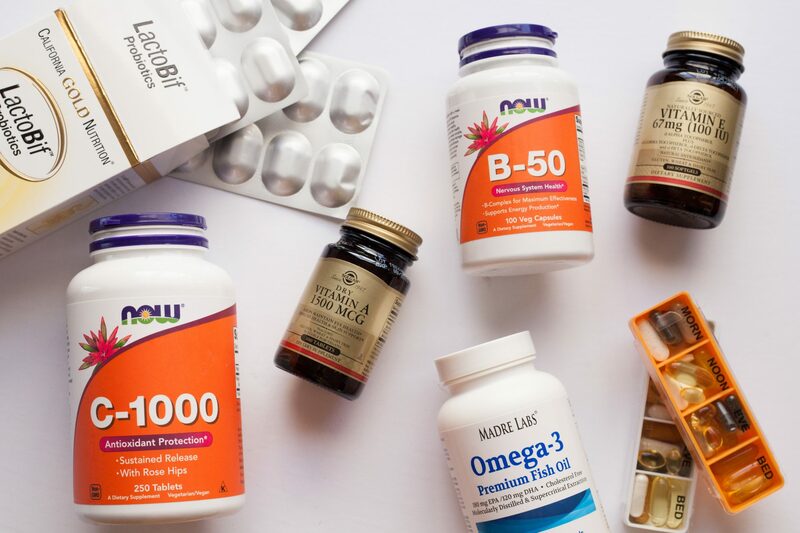 While eating “healthy” is something we should already be focusing on, you can also jumpstart your gut and internal health by supplementing a more wholesome diet with vitamins and supplements. Unfortunately, all the facials and skincare products in the world won’t fix problematic skin if you aren’t meeting your nutritional needs! This is the one key piece of advice I gave to all my spa skincare clients. 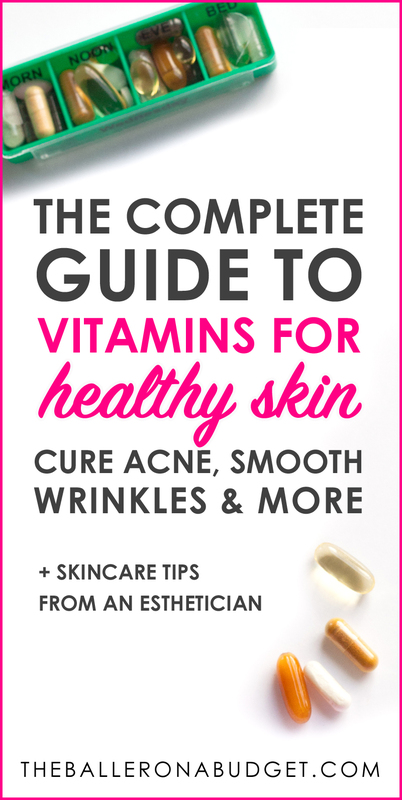 Now, before you get inspired to run to your nearest drugstore and pick up the cheapest multivitamin, make sure to read through this blog post or bookmark it to read later – there are so many important things you need to know about the right vitamins for healthy skin. 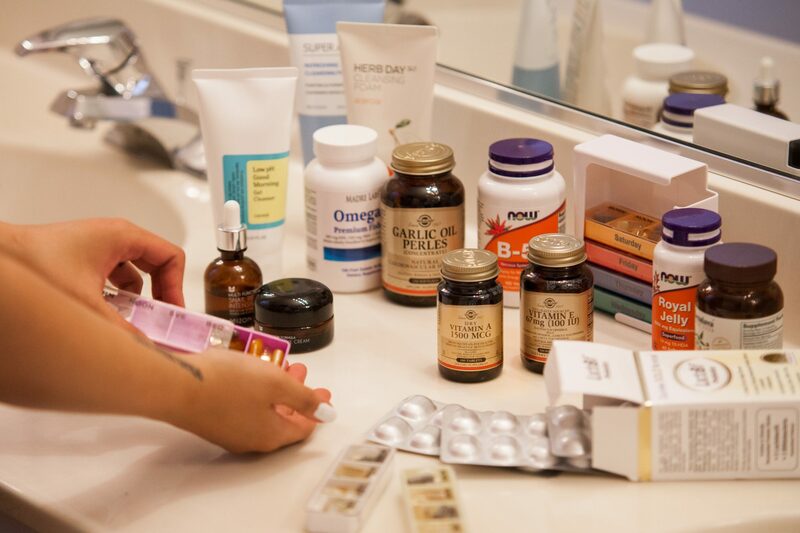 This is the ultimate guide to quality supplements from iHerb for healthy, clear and radiant skin, as told by a licensed esthetician (yours truly!). Shopping Tip: The higher the strain and CFU, the better. If you struggle with nonstop gas, bloating, strenuous or irregular bowel movements, chances are that your gut might need some proper TLC. Digestive issues are not just a red flag for a poor diet but also an indicator that you may not have enough good bacteria in your gut to properly digest what you consume. And if your digestive system is on the fritz, guess which body system is the next to pick up its slack? The integumentary system, aka your skin. The best probiotic to get: To start healing your gut, a probiotic with multiple strains of good bacteria is key. 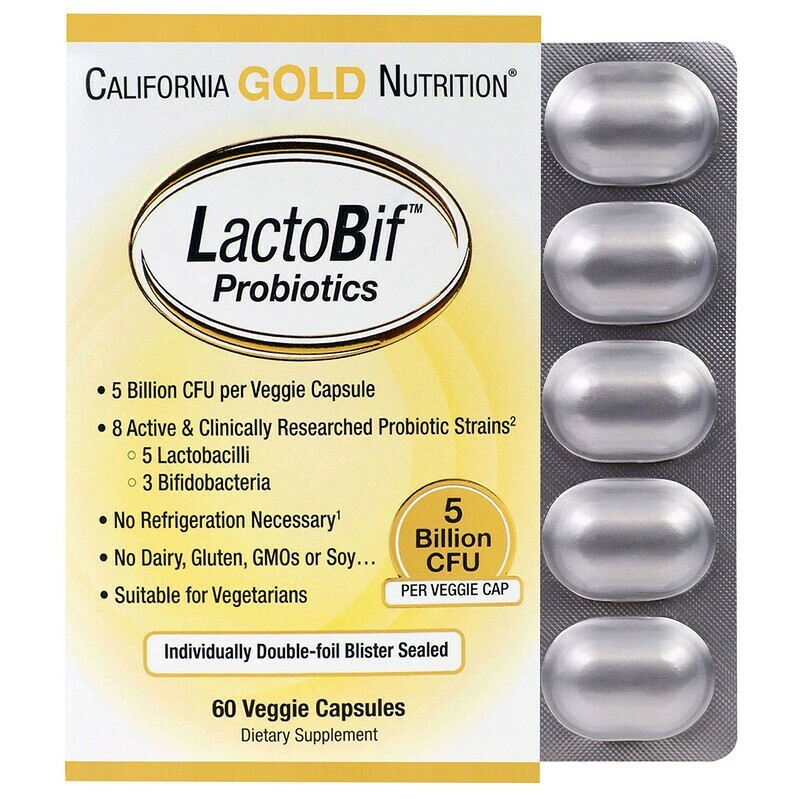 It’s true that a quality probiotic might be pricey, but California Gold Nutrition has 8 different strains of bacteria and 5 billion CFU (colony-forming units). The price is pretty impressive compared to most multi-strain quality probiotics at only $9.95/60 capsules. Shopping Tip: Avoid cheap Omega-3s. Buy only mercury-free, PCB-free, dioxin-free, contaminant-free. If you’re struggling with skin conditions like psoriasis or acne, these are problems that indicate internal inflammation. Adding more omega-3 into your diet can greatly help as it is one of the most highly effective anti-inflammatory supplements. It also helps to achieve incredibly smooth skin. 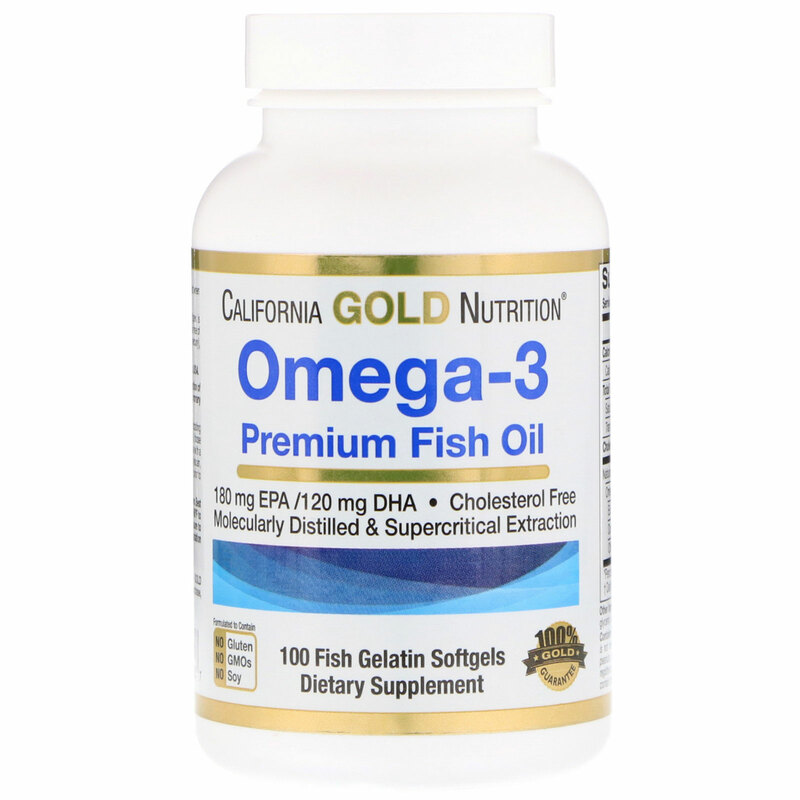 The best Omega-3 to get: Like probiotics, a quality omega-3 supplement can be pricey, but California Gold Nutrition also carries a premium fish oil supplement that’s certified and tested to be free of mercury, PCB’s, dioxins, and other contaminants commonly found in cheap-quality omega-3 supplements. The best part? 100 capsules is only $6.95! Shopping Tip: Avoid high-doses. Avoid if pregnant. A good supplement that has a variety of multitasking benefits is Vitamin A: it’s great for hair, skin, and nails as well as eye health and strengthening the immune system. Skin-wise, it encourages the renewal of skin cells and also stimulates fibroblasts deep in the dermal layer of your skin. In layman’s terms: it’s a great anti-aging supplement as it makes skin cells grow healthy from the get-go instead of fixing currently-existing ones that are damaged. Sounds familiar? Retinol is derived from Vitamin A, also known as retinoic acid! The best Vitamin A to get: I really love supplements from Solgar because they always have smart formulations. It’s true that taking too much Vitamin A can actually have adverse side effects, which is why I recommend Solgar’s Vitamin A ($7.05/100 tablets). 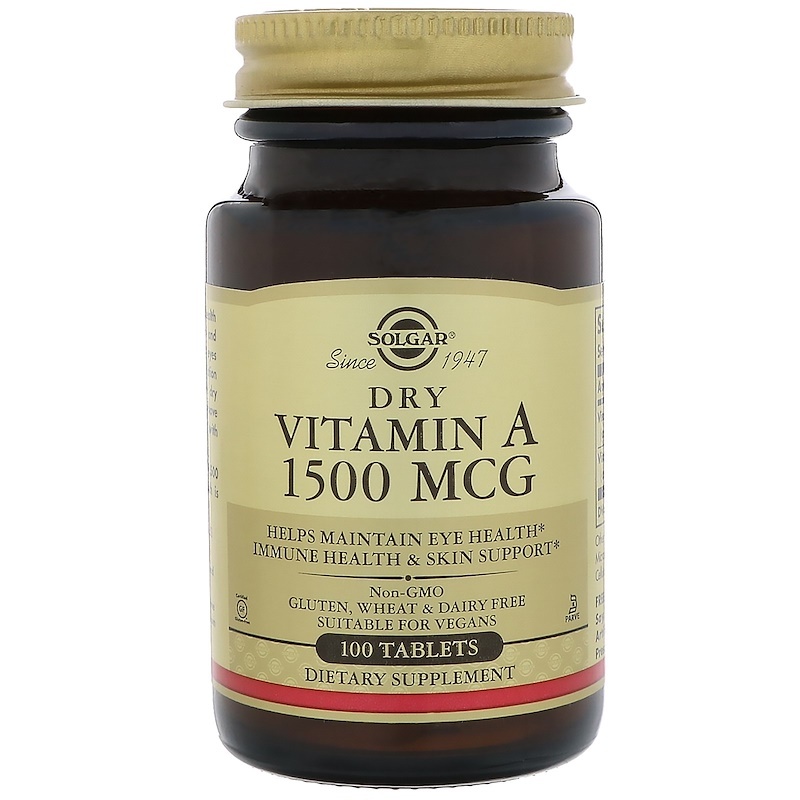 Each capsule contains a perfect amount of daily Vitamin A at 1500 mcg, which is equivalent to 5,000 IU (international units). The maximum daily recommended amount is 10,000 IU, but I recommend consuming less as excess amounts of Vitamin A can build up in the liver and result in toxicity. Shopping Tip: Get a B-complex supplement with as many different B vitamins. If you follow me on Instagram then you’re probably familiar with my love for niacinamide in skincare products – it’s great for fighting acne and producing blemish-free skin! Niacin, niacinamide and nicotinamide are actually fancy words for types of Vitamin B3. There are different kinds of B vitamins – B1, B2, B3, B5, B6, B7, B9 and B12 – and while they are all essential for the body and benefit the skin, each one has specific functions. 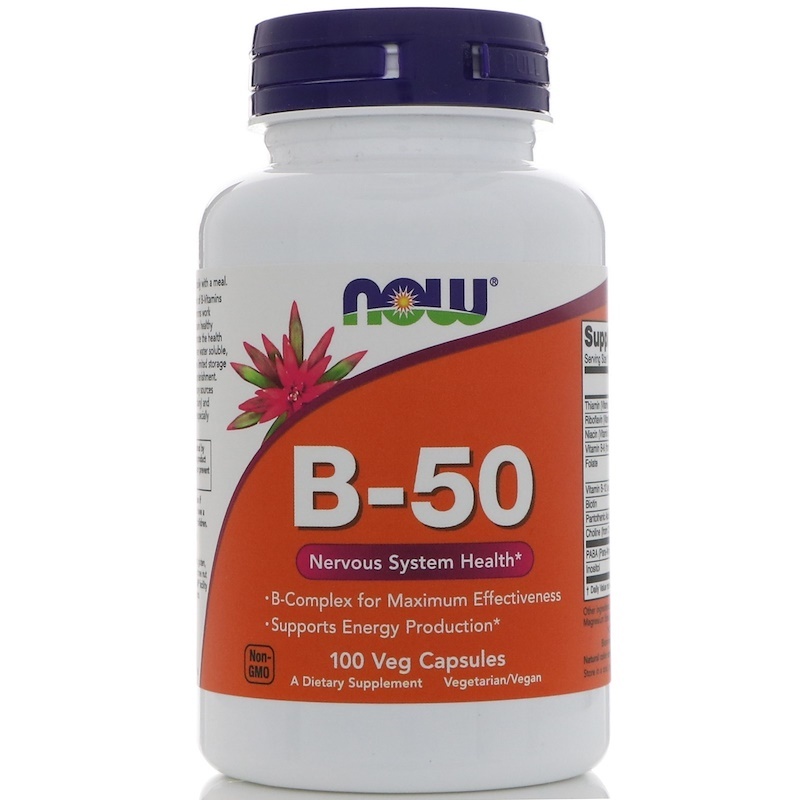 The best Vitamin B to get: Now Foods B-50 ($8.39/100 capsules) is a blend of Vitamins B-1, B-2, B-3, B-6, B12, Biotin and other essential B-vitamins. Each tablet contains 50mg of each. While B12 seems to be popular, it is only one part of the Vitamin B spectrum, so opt for a B-complex supplement that has as many B vitamins as possible. Shopping Tip: Choose a sustained-release Vitamin C.
If you sunbathe a lot or worry about accelerated aging, Vitamin C is going to be particularly important for you. Vitamin C has antioxidant properties that encourage collagen synthesis, an ability that we slowly lose as we grow older. Vitamin C also helps to reverse the skins of aging from UV-induced damage – yep, that’s you bronze goddesses who enjoy getting tan at the beach! The best Vitamin C to get: Vitamin C is a water-soluble supplement, which means that most of it can be excreted quickly through urination. 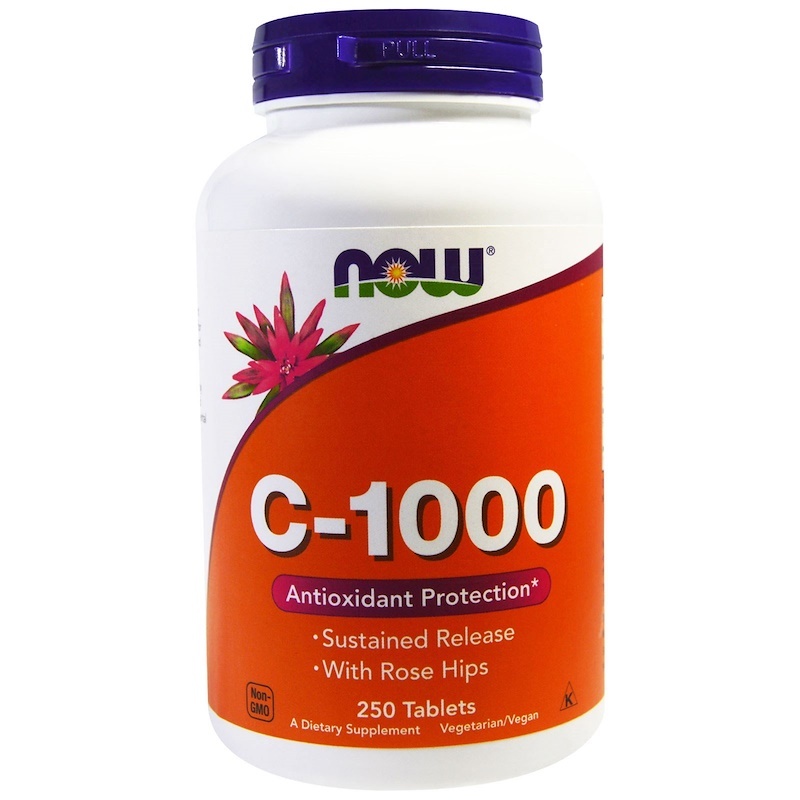 Sustained release Vitamin C supplements like Now Foods C-1000 ($7.18/100 tablets) allow the tablet to slowly break down and deliver gradual amounts of Vitamin C into the body’s fluids over a longer period of time. Shopping Tip: Get one labeled with the d- prefix. Also get as many isomers as possible. Vitamin E, another antioxidant similar to Vitamin A, also helps the body regulate retinol production. However, Vitamin E protects cell membranes by creating a barrier around skin cells to keep them hydrated and protected against free radicals, which is great for people who have dry skin or who are concerned about aging. It’s also a great anti-inflammatory and effective for healing wounds, so it can be particularly useful in combatting cystic acne. The best Vitamin E to get: Read supplement labels before purchasing a Vitamin D, as synthetic vitamin D is labeled with a “dl-” prefix. It’s also important to know that Vitamin E has 8 isomers: alpha, beta, delta, and gamma tocopherols, and alpha, beta, delta, and gamma tocotrienols. That said, a “complete” Vitamin E that has all 8 naturally-occurring isomers can get pricey. 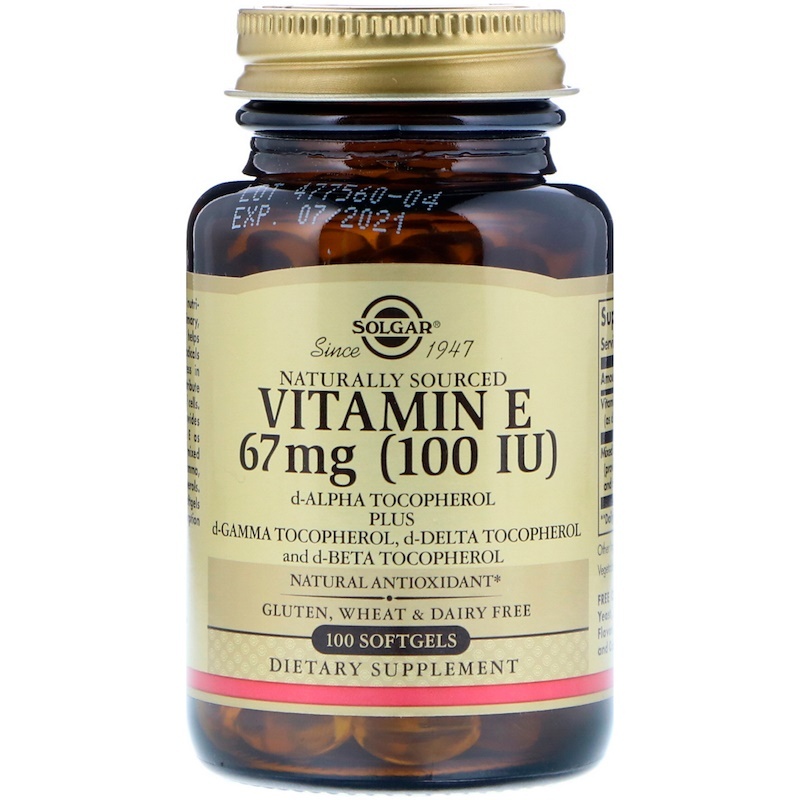 If you want a naturally-occurring Vitamin E with a variety of isomers, this introductory Vitamin E from Solgar has all 4 naturally-occurring tocopherols at $6.60 for 100 softgels. Turmeric and neem are both popular herbs used in Ayurvedic medicine to treat a wide variety of inflammatory illnesses but are both also extremely effective for acne and other inflammatory skin conditions. Curcumin, which is found in turmeric, is not just an anti-inflammatory that can help with conditions like arthritis: it’s also an antioxidant and has antibacterial, antifungal and antiviral properties. For skin, it can reduce scars, cystic breakouts, and oiliness. While you may see DIY turmeric face mask recipes online, turmeric will easily stain skin, so supplements are the best way to go if you’d like to reap the maximum skincare benefits. Neem is also a great anti-inflammatory that heals scars as well, but it goes much further than its superficial benefits: according to Ayurvedic medicine, it’s a powerful blood cleanser that can detoxify the body by internally fighting bad bacteria and fungus and can also help regulate the digestive system. With benefits like these, neem is one of the best supplements you can take to kick-start a detox regimen both for external beauty and internal cleansing. My favorite turmeric supplement is Organic India’s Turmeric Formula ($24.59/90 capsules). For neem, I highly recommend TheraNeem Natural’s Neem Leaf ($11.17/120 capsules). Both supplements are made from certified organic herbs. 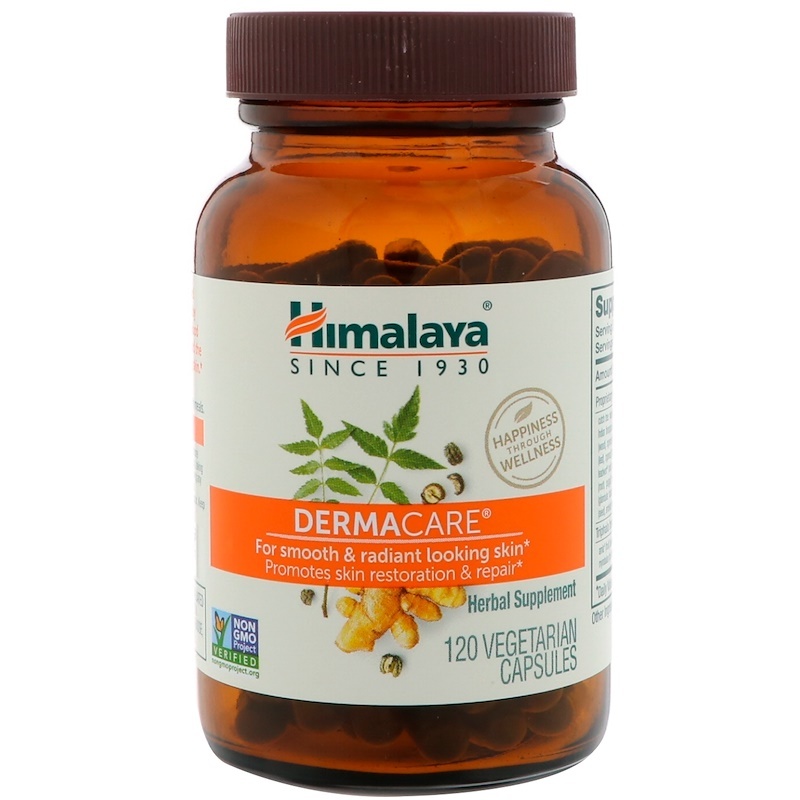 If cost is a concern, you can get this powerful herbal duo in an Ayurvedic blend called Himalaya DermaCare ($16.53/120 capsules). This non-GMO certified supplement not only contains neem and turmeric but also includes a proprietary blend of herbs to help heal the skin, boost radiance and promote overall clarity. When purchasing herbal supplements, always make sure that your supplements are organic. Royal Jelly is the ultimate supplement for dry skin, aging skin or skin suffering from afflictions such as eczema or psoriasis. Made from honeybees, it is a cocktail of B vitamins, fatty acids, amino acids and more. It has the ability to hydrate thin and dry skin from the inside-out, which makes this the go-to supplement to reduce the signs of aging. It also provides a variety of health benefits such as boosting immunity, improving brain function and regulating the digestive system. 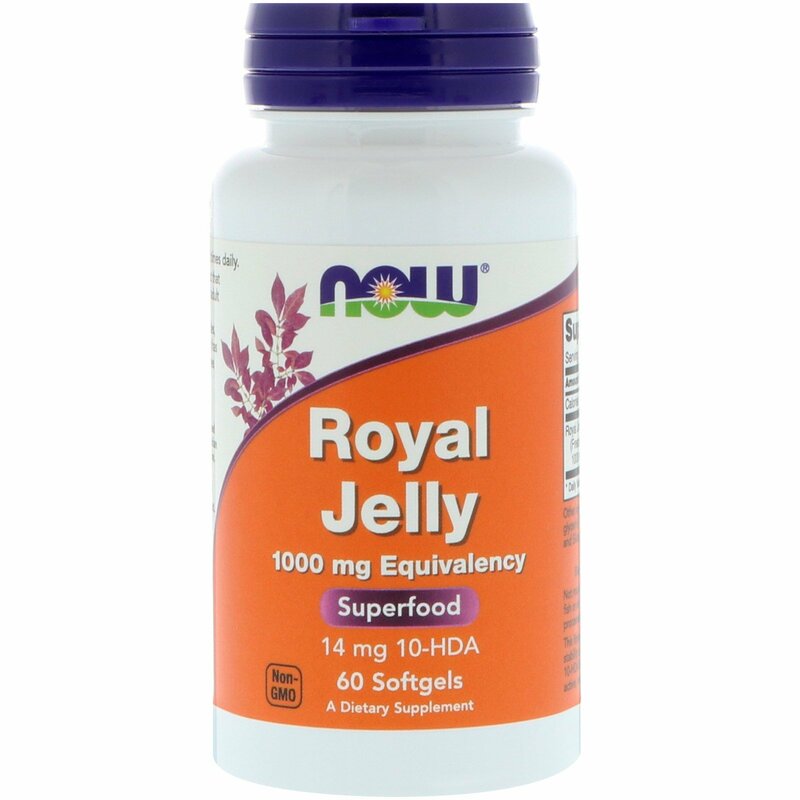 The best Royal Jelly to get: Now Foods Royal Jelly ($11.98/60 softgels) is a great quality Royal Jelly product at a reasonable price point. It’s also non-GMO and GMP quality assured. Shopping Tip: Avoid odorless garlic supplements. Garlic is not only good for cardiovascular and heart health – it’s also amazing for yeast infections. It’s not just exclusive to yeast infections “down there” either: for people like me who struggle with fungal infections like tinea versicolor, garlic is powerful to reduce yeast overgrowth on the skin. Garlic is also a wonderful anti-inflammatory supplement for other types of skin infections, cold sore breakouts, and inflammatory skin conditions like acne, psoriasis, eczema, and more. The best Garlic supplement to get: It might be tempting to get an odorless garlic supplement to avoid garlic breath, but odorless varieties are processed, which means the potency is reduced significantly. 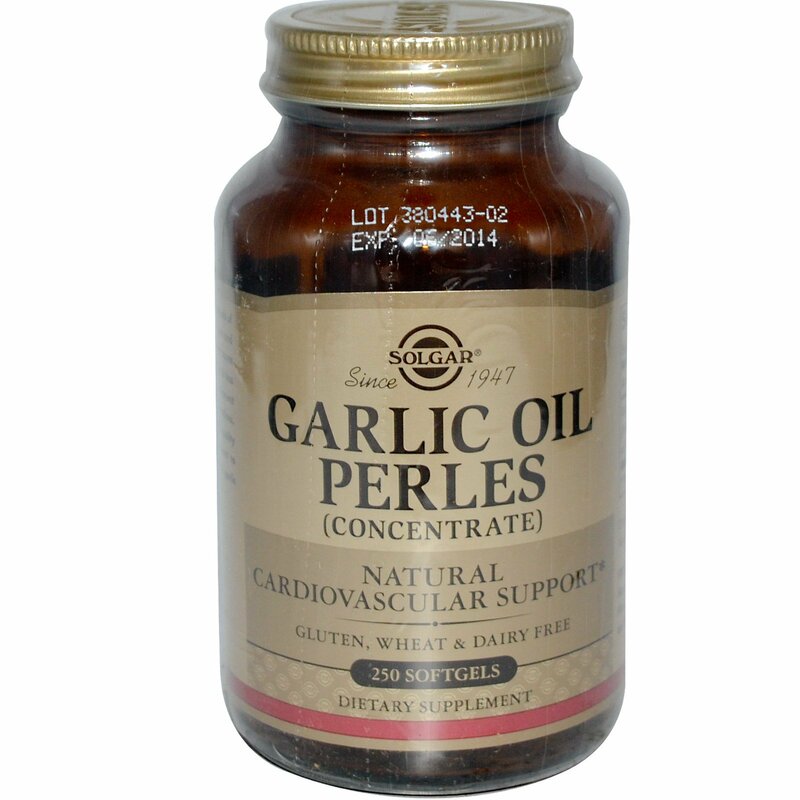 Solgar’s Garlic Oil Perles ($9.15/250 softgels) are a great non-odorless option. Pro tip: After consuming, eat an apple, drink lemon juice or even green tea as these contain enzymes that can neutralize the garlic odor. Although I mentioned that skincare products alone aren’t always enough for a radiant and clear complexion, they are still an integral foundation for your skincare regimen. Using both supplements in tandem with a proper skincare regimen can produce desirable results after just 1-2 months. That said, I am an avid fanatic of both natural beauty and Korean beauty skincare products (you might already know this if you’ve read my 10-Step Korean Skincare Guide). iHerb not only carries an impressive variety of brand-name supplements but is also home to over 12,000 natural beauty products like my favorite Aztec Secret and Thayer’s. Even better: iHerb also has hundreds of the most popular Korean beauty brands! On my most recent shopping spree for supplements I stocked up on my tried-and-true budget-friendly K-beauty favorites Mizon’s Snail Ampoule, Mizon’s Snail Repair Eye Cream and Cosrx’s Low pH Good Morning Gel Cleanser. I was also able to toss in some other products to try out like Missha’s Super Aqua Refreshing Cleansing Foam and The Face Shop’s Herb Day 365 Acerola Cleansing Foam since they were both less than $7 each! You’re probably wondering why I’m toting a laundry list of supplements when you could go get a cheap multivitamin and get all your vitamins in a single tablet. Contrary to popular belief, multivitamins are not cost effective at all. 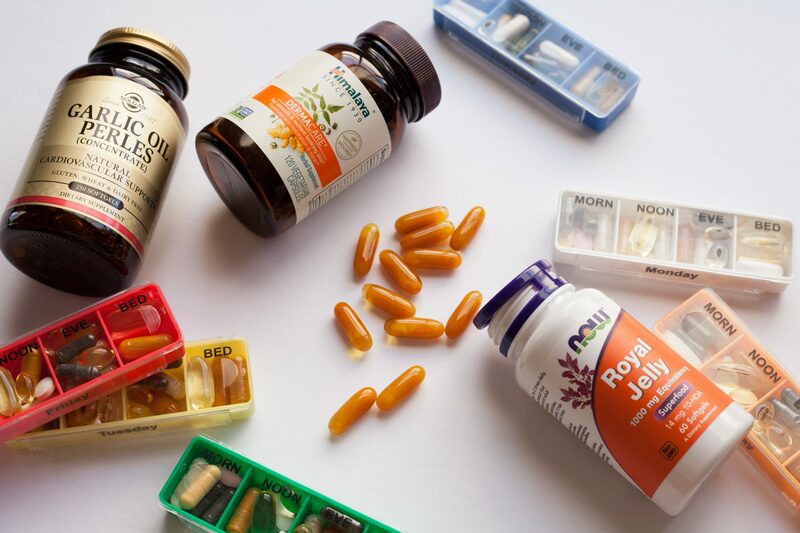 Multivitamins carry such an assortment of vitamins that the dosage per vitamin is too low to create a positive effect on your skin, let alone your internal health. 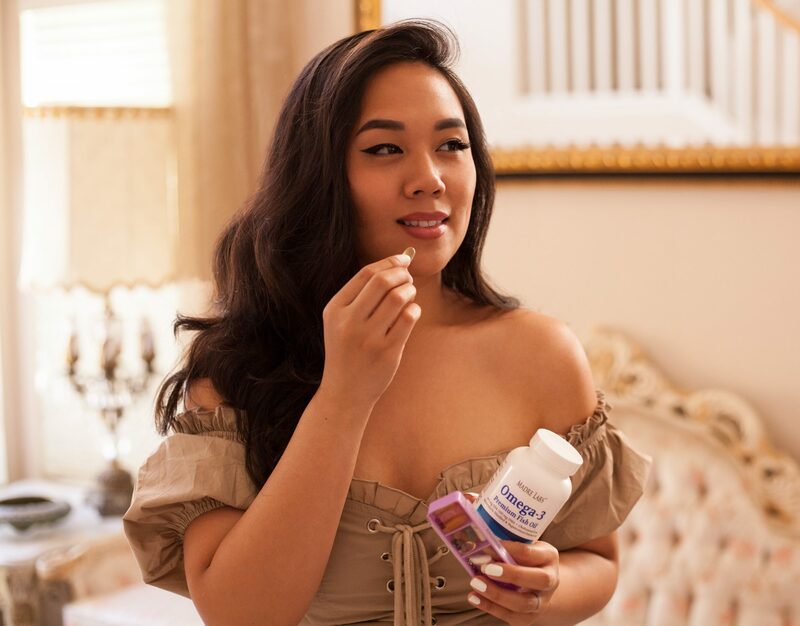 Getting a multivitamin to improve skin is like buying a 2-in-1 shampoo and conditioner product and expecting to have lustrous and healthy hair. Most “cheap” multivitamins are also exactly that: cheap. You get what you pay for, which is usually a low-quality multivitamin made of synthetic ingredients that cannot be absorbed effectively along with additives like talc, BHC and dyes that have been linked to cancer and/or are banned in other countries. It’s true that vitamins and supplements might be yet another investment to some, but I’ve been taking the above supplement regimen for years and can stand by the results. 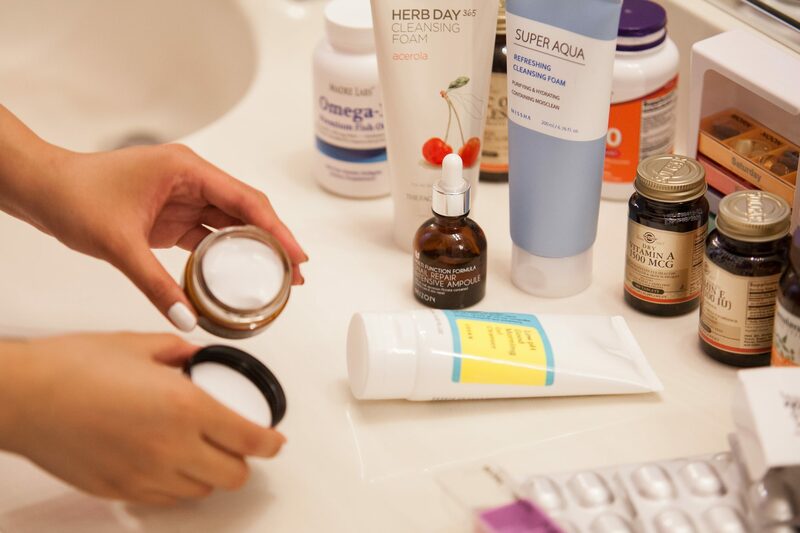 It’s important to remember that a $120 facial moisturizer won’t fix your skincare problems, but a complete skincare regimen along with the right supplements and proper nutrition more than likely can. New iHerb customers can get a discount off their order by clicking here. You can also use promo code “WELCOME5″ to get an additional $5 off your order of $40 or more. Will you be incorporating vitamins and supplements into your daily routine for better skin? Let me know in the comments and don’t forget to subscribe to my newsletter below for more skincare tips and health posts. I suffer ezcema, bronquial asthma and dermatitis atopic from my born 10-02-1950 and it is cronic also in my 68 years old. Help me! Thank you. I trust in you. Hi Soso! Iherb is an online-only store based in the USA.